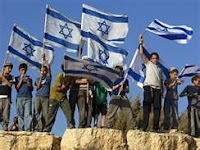 With the important Jewish holiday of Passover nearing [the first night will be Monday March 25], with the History channel's airing of the series "The Bible", and with president Obama's visit to Israel occurring, the state of Israel is strong on the mind of many. That is why Tales would like to present again Israel's beautiful national anthem called Hatikva [the hope]. The beautiful melody that is in this anthem comes from the main theme in the great Czech composer Bedrich Smetana's piece he composed for his homeland Ma Vlast- "The Moldau". My favorite national anthem is and will always be America's "Star Spangled Banner". Hatikva is my second favorite. God Bless America! God Bless Israel! One never faiils to learn something interesting & wonderful at Tales. Thanks Big Mike! Thank you for the kind comments Serv!! Poland has the best anthem of all time.